Anthony Geary grew up in Coalville, Utah — which actually had no coal, just one diamond in the rough and around 799 other people. Although his family’s business was construction, it was the arts that fueled Geary. By the age of 6, “I was writing stories and reading and building cabins on the hillside and running across the mountains with cheesecloth tied around my head,” Geary recalled. Eventually, all that running around and natural talent landed him a Presidential Award scholarship in theater to the University of Utah. It didn’t take long for the dynamic performer to be “discovered” at a university production. He was cast in a touring production of The Subject Was Roses, and wooed to Los Angeles to pursue the stage. 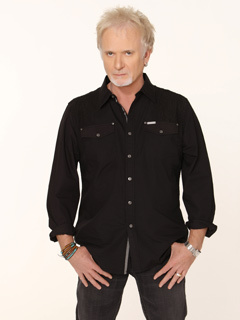 Geary left Port Charles in 1984, in part because of that kind of response to Luke and also because, “I was burned out. I was young, and I didn’t know how to sustain that performance day after day without living it. It was all too much.” An older, wiser and rejuvenated Geary returned to GH in 1991 as Luke’s cousin Bill Eckert. But it wasn’t long before the real deal made a comeback: Luke Spencer came home for good in 1993. Geary now lives in Amsterdam with his beloved cats and commutes to L.A. several times a year for work. Co-starred with Sid Caesar and Imogene Coca at the Frontier Hotel in Las Vegas in YOUR SHOW OF SHOWS. Claims to be the world's oldest hip-hop dancer. If he could live his life again he would finish school and get a Ph.D. in theater. He received a Cindy Award as a producer for the drama Sound of Sunshine, Sound of Rain, a children's story for public radio. Luke and Laura's November 1981 wedding was the most watched event in daytime history.